In a letter dated March 8, [celebrity lawyer Gloria] Allred, writing on behalf of the Women’s Equal Rights Legal Defense and Education Fund, requested that Palm Beach County State Attorney Michael McAuliffe probe whether the conservative radio personality had violated Section 836.04 of the Florida Statutes by calling Georgetown University law student Sandra Fluke the two derogatory words. Dr. Jack Kevorkian has died at the age of 83. Kevorkian, who claimed he had helped about 130 people to kill themselves between 1990 and 1999, died at William Beaumont hospital in Michigan, close friend Mayer Morganroth said. Nicknamed Dr Death, Kevorkian came to prominence in 1990 when he used his homemade “suicide machine” in his rusted Volkswagen van to inject lethal drugs into an Alzheimer’s disease patient who sought his help. 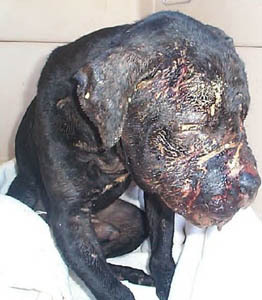 NFL Commissioner Roger Goodell has conditionally reinstated former Atlanta quarterback Michael Vick, who was convicted of running a dogfighting ring in 2007. Vick served 23 months in federal prison, followed by two months of house arrest. Is America ready for an honest conversation about abortion yet? 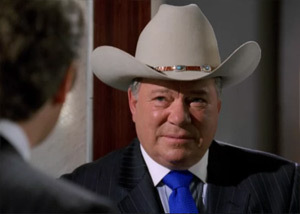 In this season’s eighth episode, Boston Legal – the relentlessly liberal ABC dramedy starring William Shatner and James Spader – lobbed an absolute bomb at those of us on the pro-choice side of the Roe v. Wade question. The bunker-buster was posed, predictably enough, by Crane Poole & Schmitt’s resident conservative, the gleefully Republican Denny Crane, portrayed by Shatner. BL fans know Crane to be positively Cheney-esque in his politics (although he did finally cross the aisle to vote for Obama because even he couldn’t stomach four more years like the last eight), and he routinely plays the straw man for the passionate liberalism of Spader’s litigator par excellence, Alan Shore. For today’s TunesDay, why don’t we forget about the music and talk about music lawyering? Because really, chicks dig the suits. “In Atlantic Recording v. Raleigh, an RIAA case pending in St. Louis, Missouri, the defendant has asserted detailed counterclaims against the RIAA for federal RICO violations, fraud, violation of the Computer Fraud and Abuse Act, prima facie tort, trespass, and conspiracy. The claims focus on the RIAA’s ‘driftnet’ tactic of suing innocent people, and of demanding extortionate settlements. The RICO ‘predicate acts’ alleged in the 42-page pleading (PDF) are extortion, mail fraud, and wire fraud.